The first step to caring for a goldfish is bringing home a healthy fish. Now that a healthy goldfish has been chosen, you’ll need a tank and supplies. The recommended tank size for 1 goldfish is 10 to 20 gallons. Purchasing a filtration system is also necessary. An air pump and heater are recommended, but it’s possible to care for a fish without them. 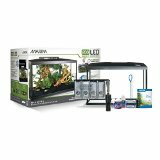 Find out about fish tank filter systems here. Plastic plants, or real plants and rocks can add decoration to the fish tank and give fish a fun place to swim. Set the tank up completely and the let the filtration system run for a while before adding the goldfish. This helps get rid of any chemicals left on any of the accessories you add to the tank. Treat room temperature water in the tank with water conditioner and then add your fish and watch them enjoy their new home. 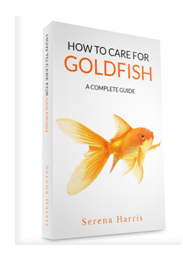 Goldfish care is easy as long as you’re committed to establishing a feeding and maintenance routine. Goldfish only need to be fed once a day, although some owners feed their goldfish twice a day. When feeding the fish, pinch a small amount of food into the fish tank. If the goldfish is still hungry, continue the process for 2 minutes or until the goldfish seems to lose interest. Goldfish will usually eat as long as they keep being fed. It’s important not to overfeed as this can cause serious problems for the fish. Keeping the water clean and free from dangerous toxins is essential in promoting healthy goldfish growth. The most important aspect of caring for a goldfish is making sure the fish tank is clean. A dirty fish tank can cause diseases in goldfish that require the use of antibiotics to clear up the problem. In serious cases, the goldfish may not survive. The sick goldfish will need isolation and special food to help remedy the problem. If the tank is cleaned weekly it’s possible to avoid dangerous problems harmful to the livelihood of the goldfish.